Do you love drinking wine, but suffer from the side effects like headaches, skin flush, congestion, and upset stomach? Then check out these cool new Wine Wands from PureWine. 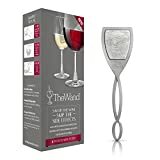 Simply stir these wands in a glass of wine for a few minutes to effectively remove the histamines and sulfite preservatives that trigger wine sensitivities without changing the taste or aroma. 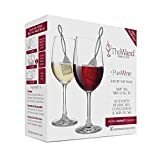 The wands are portable and designed for on-the-go use, purify all types of wine from red to sparkling, and are perfect for having around for the holidays, parties, dinners, and more. Also available in a whole bottle purifier.